The Air Jordan 13 Retro “Infrared 23” – Release Date is set for December 13th, 2014 at a retail price of $185. Jordan Brand isn’t quite done adding their “Infrared 23” tones on Retro’s just yet. 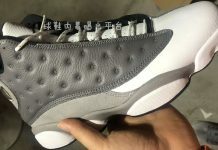 The Air Jordan 13 is set to make a huge comeback this Holiday season alongside the beloved Grey Toe rendition a month before. 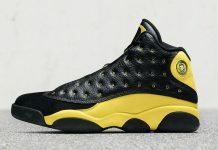 Look out for these to release at your local Jordan Brand retailer.